Our brood has grown again! We recently had a cat show up around our house. She was so cute and really sweet and Chad started feeding her. I wasn’t really sure if she belonged to a neighbor and was just coming over for snacks or if she needed a home. After a couple of weeks we noticed she was getting rather round through the middle (aren’t we all?). She got bigger and bigger and then disappeared for two days. The next time I saw her she was slimmer and acted like she was really hungry but I couldn’t find the kittens. 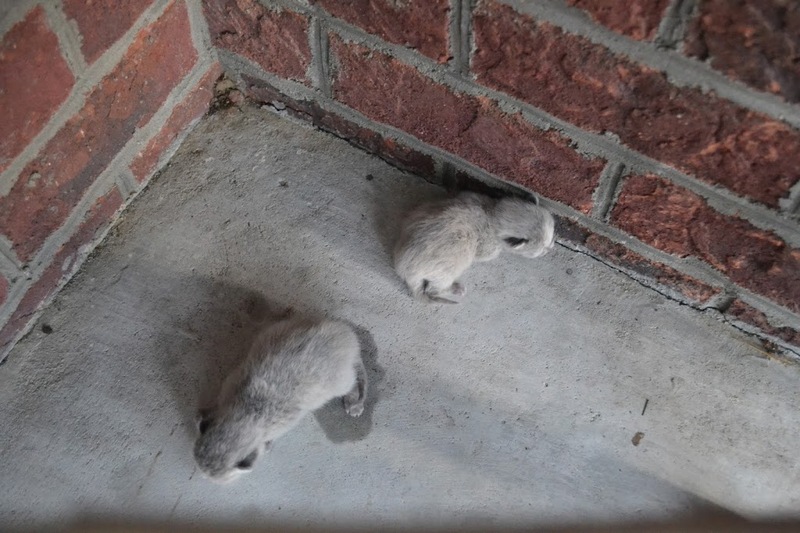 The next morning I found them on my front porch in the corner. They were so tiny that they looked like little mice. Luckily there are only two of them. I have never been much of an animal person but I already find myself getting attached to these little guys. 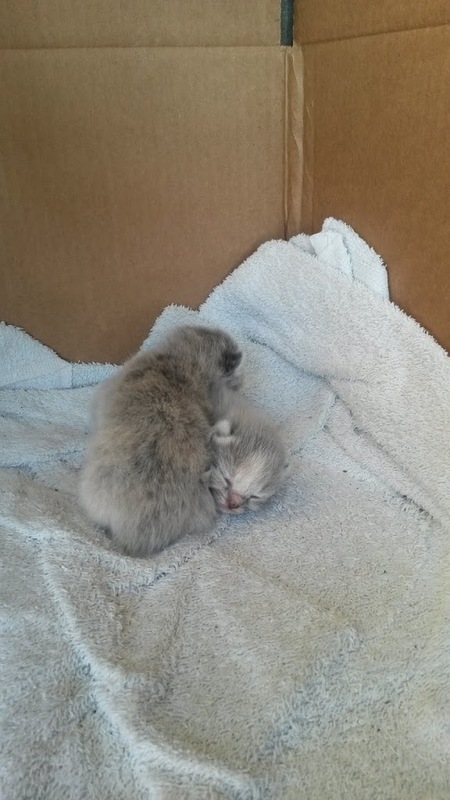 I fixed a little bed for them using a cardboard box and an old towel and they seem to be doing okay. I keep reminding myself that the Mama cat knows what to do without any help from me but I still worry whether they’re okay or not. They are so sweet together. They are always touching one another or one is laying across the other one. They are right next to the window into my dining room so we can check on them really easily. Have you ever had kittens before? What else should I be doing? Any name suggestions? We started calling the Mama Kit-Kat a few weeks ago.